Welcome to Aurora Veil’s fun guide to team building! 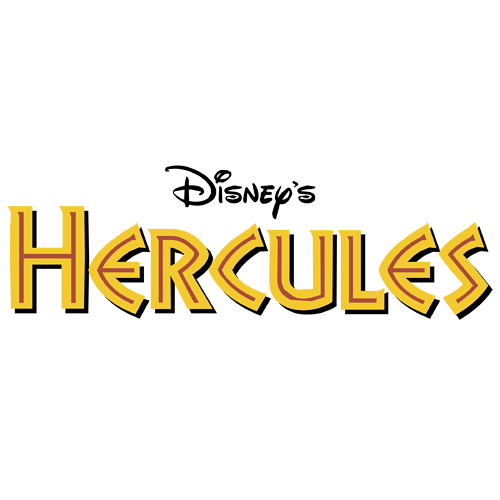 This time, we are focusing on analyzing the character trio of Hercules, Hades, and Megara. As characters from the same franchise, they were naturally designed to work well together. Let’s see what each bring to the table, shall we? Forming the core of this themed team are Herc, Hades, and Meg. Together, they present a very unorthodox method of damage mitigation, which is both very high risk, but very high reward. The three of them together are meant to soak up large amounts of damage and retaliate with big damage. Since there are only three characters that form this theme, we will also be discussing additional characters who could prove useful to enhancing the team’s main strategy. 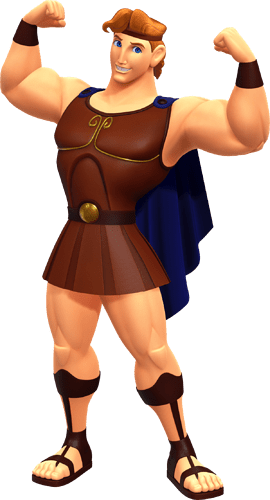 Function: Herc is a great Tank hero with a high survivability potential. He offers the standard CC skills that Tanks generally have, but that’s not his most interesting aspect. His self-heal is his primary form of damage mitigation. On top of that, the invincibility he gains from it further amplifies his staying power, giving him similar durability to the notorious Olaf. Every time he heals, his Purple skill also gives him an artificial increase to his overall HP. It’s not exactly abusable since the bonus HP is not that impressive and he can only use it a couple of times at best in a PvP setting. However, this gets pretty ridiculous in a mode like City Watch. If taken far enough, he’s as unstoppable as a god. However, his signature godly strength is more so tied to his endurance rather than his damage. 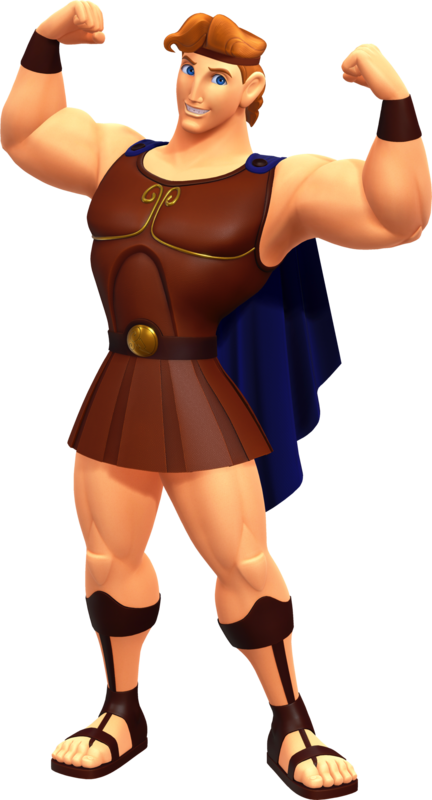 Herc will ultimately rely on his teammates to capitalize the openings that he makes with his stuns and pushbacks. Both of his friendship disks are viable. Meg’s disk boosts Herc’s overall effectiveness. However, Maui’s disk allows for Herc to grant invincibility to his fellow Tanks, which Hades greatly appreciates. Function: When first introduced, Hades was extremely unconventional. He is the only Tank who stays at midrange instead of the frontline, so he already has trouble protecting his team reliably. Hades was never meant to be a main Tank, and so he excels in compositions that thrives on more than one Tank. 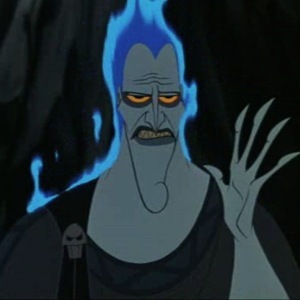 Hades’ main draw is that he does more damage the less HP he has. He also has a passive the redirects 15% of damage done against his allies onto himself. This justifies Hades’ midline position. The team is less susceptible to AOE damage because of his presence. Hades retaliates with big damage the less HP he has too, which works very well with his damage absorption. He even has a self-revive to give him more opportunities to sponge damage. His disk with Jack Sparrow is preferred, as it gives both Hades and Hercules even more HP to sponge hits with. However, depending on who else you might add in your team, Meg’s disk, which increases DOT from all sources make for some interesting opportunities. Meg’s disk also notably provides Hades with more skill power, greatly improving his damage and the HP he heals upon revive. Function: Meg is more or less the glue to this team’s core strategy. Her “link” mechanic works similarly to Hades’ passive, but even more specialized. Whoever she is linked with becomes a more serious threat than they have any right to be, as long as Meg manages to stay alive. She is one of the most passive characters in the current roster, but she compensated by giving more power to her linked ally. The link also prevents her ally from being KO’d for as long as Meg is still in the fight. That being said, it is an incredibly risky mechanic. The damage she redirects to herself is worth 25% of what her link ally would’ve taken. This doesn’t sound like a lot, but you also have to keep in mind that Meg herself can be hurt independently from her ally. Luckily, she’s not totally defenseless. She can heal herself and her triple charms and occasional silence skills buy her the time she needs to survive that much longer. During PvP, she should automatically link with Herc, unless you have an ally that’s considered further front than Herc himself. Otherwise though, Herc is one of her best link partners. His invincibility in particular prevents Meg from taking too much damage throughout the match, allowing her to last even longer. In non-PvP settings though, you should occasionally switch off auto-mode and link with Hades. Hades will be at his full potential at low HP values, and as long as you’ve managed Meg HP, perhaps with the help from another healer, Hades will do insane damage! Her disk with Aladdin is generally more applicable, as it gives her more HP, more skill power to share, and enhances her charms and silence. However, Shank’s disk does offer some interesting mechanics. Shank’s disk primarily provides even more damage to share with Meg’s linked allies, and even grants temporary invincibility to that ally when Meg is KO’d. 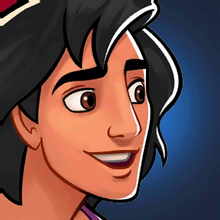 Aladdin’s disk should be more favoured since it directly helps Meg survive, but Shank’s disk can make for a risky, but fun, comeback opportunity. 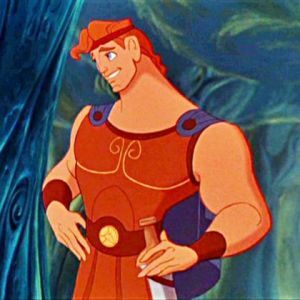 Here we highlight heroes who work particularly well with the Hercules trio. 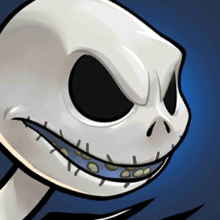 Jack Skellington: Scare works well with Hades and also provides supplementary healing the team can benefit from. His DOT is complimented my Hades’ disk with Meg. 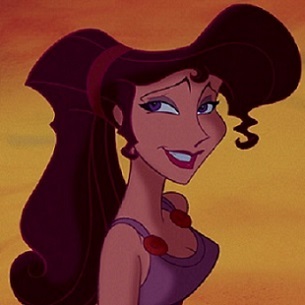 Sally: Sally works well with Hercules and Hades. 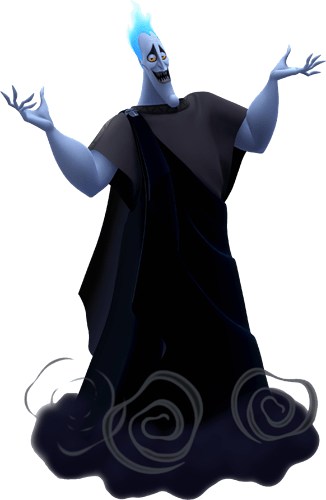 She spreads a lot of damage with her endless poison, and directly benefits from either of Hades’ disks and Herc’s disk with Maui. 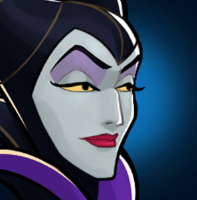 Maleficent: Maleficent is a versatile Control hero that helps Hercules by keeping enemies stunned more often. She’s particularly good at keeping threats off of Meg by preventing them from getting too close. 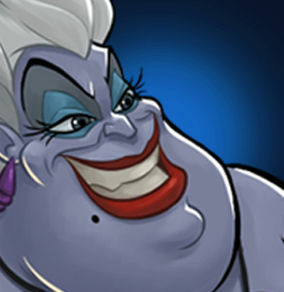 Ursula: Especially terrifying in PvP, Ursula’s Hexes keep enemies from using active skills that can directly get to Meg. 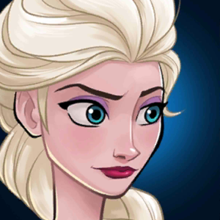 Elsa: She works particularly well with Herc’s pushback. Keeping more enemies bundled together means she can freeze more targets. She’s also quite threatening to enemies that get too close to the backline. 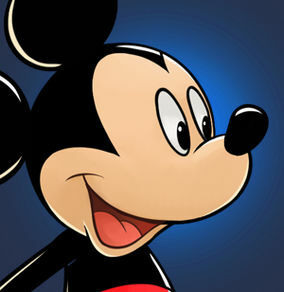 Mickey: He provides healing that helps keep Meg safe. His power boost from “Team Cheer” increases Hades and Herc’s threat levels considerably, and further compliments the hero already boosted by Meg’s “Deep Link”. 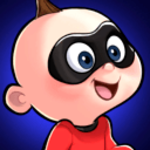 Jack-Jack: The Incredible baby has remarkable synergy with Hades. Both excel with DOT and both have ways to significantly add more potency to DOT effects. 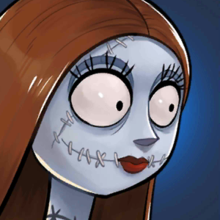 This further stacks with Jack Skellington for a fiery offensive push. Gaston: Gaston is yet another specialist in Stun infliction. He adds more stuns and charms into the mix, which greatly helps out Herc and Meg. Gaston also does even more damage against stunned targets, giving him great value in this team. 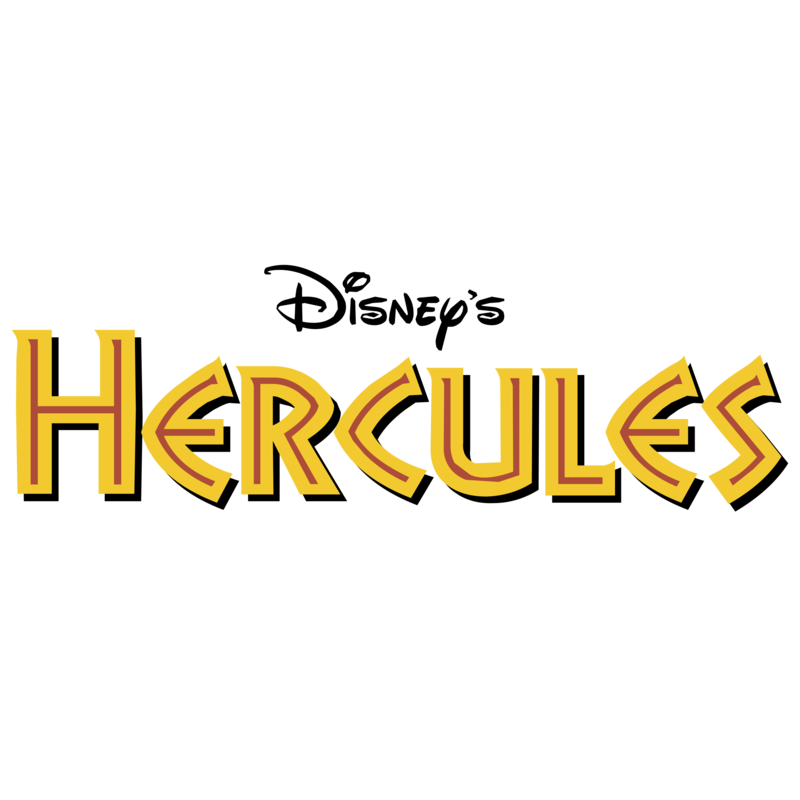 Here we highlight key heroes that will greatly impose the effectiveness of the Hercules trio. Woody: Meg is currently considered the “furthest” hero in the backline. 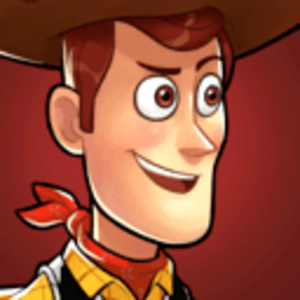 This means that she is automatically the first target of Woody’s Lasso. His Jessie disk forces Meg out of position even sooner, setting her up for an easy KO. Tia Dalma: Everything this woman does easily dismantles your core set of characters. 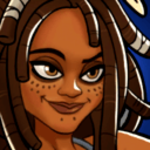 Her team silence shuts down your core’s reliance on active skills, her charm will always target Meg (who then silences one of her allies), her pushback is particularly difficult for Herc, and her curse will drastically reduce Herc and Meg’s survivability by cutting down their self-heals. Darkwing Duck: High damage, and high mobility. 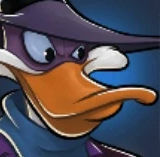 Darkwing easily breaks into the backline and make quick work of Meg. Aladdin: He’s just as slippery as Darkwing and can reach the midline at the start of the match. 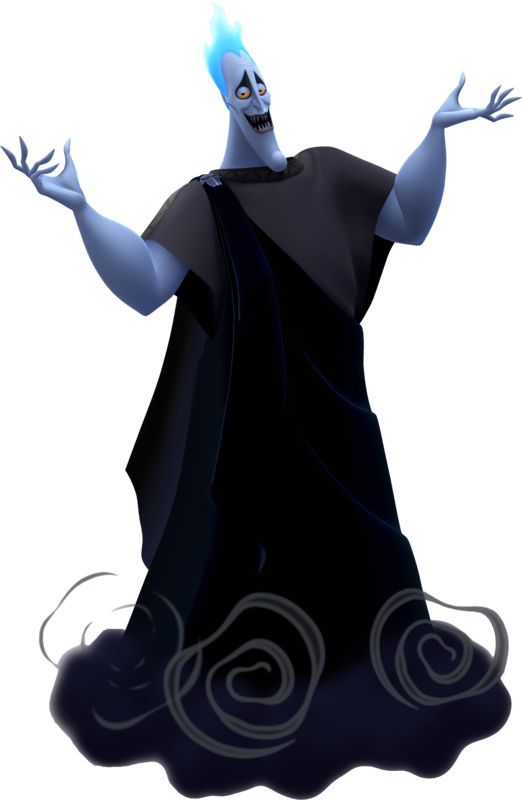 Puts a lot of pressure on Hades whose low armor falls prey to Aladdin’s excellent Normal damage. 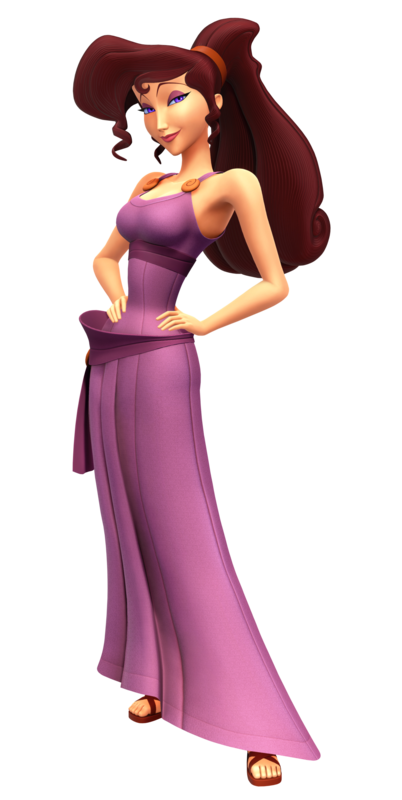 Merida: Her arrows cut down Herc’s armor and is especially threatening to low-armor tanks like Hades. Fire and ice arrows makes her more dangerous. 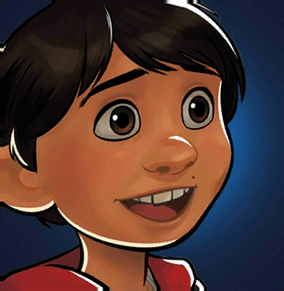 Miguel: Yet another character who can devalue Herc’s armor. “Flatten” also reduces movement speed, which makes Herc struggle more when Miguel is paired with a hero who uses pushbacks. Hiro: Megabot is great for redirecting Herc and Hades’ attention. 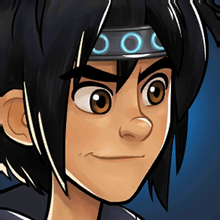 Hiro’s Microbot Stun will also primarily target Meg, putting a lot of pressure on her. I asked to the support about Hade’s skill. The answer is been unexpected… The green skill that reduce damages is not passive but active. Then don’t reduce all the time the damages… But only is actived. Try to ask it, you too! Looks like ur into guides @Aurora_Veil. Not bad, nat bad at all. Seriously,you got a “kingdom hearts” version of them. Uh… no pictures from the movie? 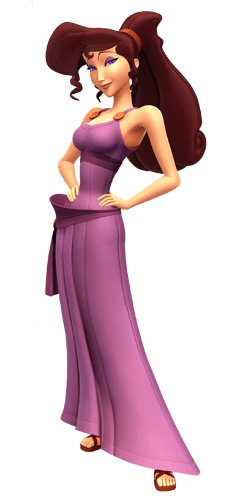 Megara isn’t a perfect match, but feel free to resize. EDIT: added additional characters who, in theory, work well with Herc, Hades, and Meg. EDIT: added even more stuff to make this guide more comprehensive. @Aurora_Veil I have been toying with this idea for a while. I am curious as to if you could make a recommendation guide for using a team of completely males and one of only females. An interesting suggestion… but even splitting the cast by gender would make for an extremely steep guide. I’ll think about it.